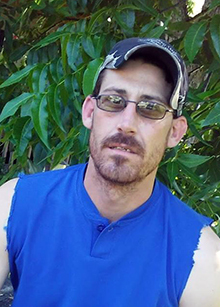 Justin Wayne Duraso, 36 , of Winnie, died Saturday, March 16, 2019, in Winnie. He was born to JoAnn Lewis and Richard Patrick Duraso, Sr., on January 29, 1983, in Sulphur, Louisiana. Survivors include his father, Richard “Bear” Duraso, Sr. and his wife, Katherine; mother, JoAnn Lewis; paternal grandparents, Shirley Duraso and Marion Pursley; siblings, Richard Patrick Duraso, Jr., Walter Ben Duraso, Christina Randolfph, Jeanene Verkey, Star Lynn Duraso, Makala Beth Duraso, Leslie Rose Duraso, and James, Garlan and Gloria Thibodeaux; children, Beau Duraso, Justin Wayne Duraso II, and Amaya Hamm; and extended family. A gathering of Mr. Duraso’s family and friends will begin at 12:00 p.m., Monday, March 25, 2019, at Broussard’s, 134 West Buccaneer Drive, Winnie, with his memorial service to follow at 3:00 p.m., at Broussard’s, Winnie. His committal was held at Broussard’s Crematorium, Beaumont. So very sorry for your loss. Prayers for his family! Little brother it's hard to believe you're gone. I know in my heart you have finally found peace. Jesus has you now. Hope we meet again someday when I am ready to move on to. Love you.